Online slot machine for SALE – "Children's World"
Graphic design for online casino game "Children's World"
MONTREAL, Quebec - Feb. 21, 2019 - PRLog -- The light and unpretentious theme of our new slot machine acts very relaxingly. 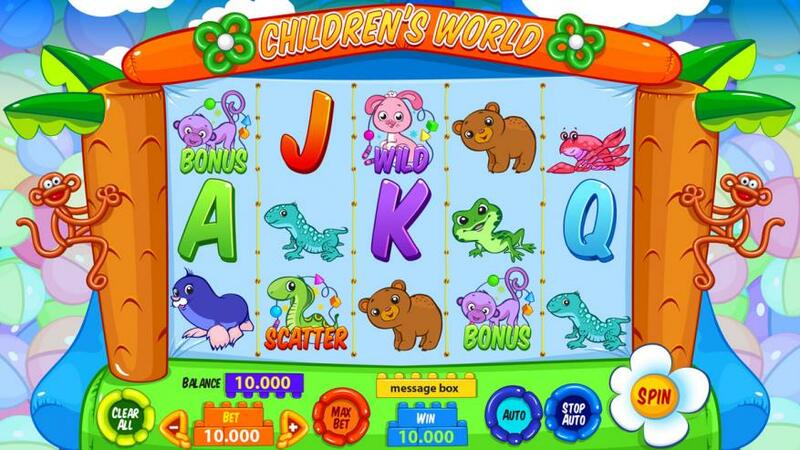 Our designers presented the original online slot machine "Children's World". The player is fully immersed in the atmosphere of the children's game and perceives the process as a fascinating and informative action. This fun slot returns players to the world of childhood and carefree. The slightly infantile nature of the theme is combined with a tense and dynamic game.Joyful feeling give funny characters. These are little animals, they remind of the beautiful pore of childhood. Online slot machine for SALE – "Special Gifts"
Online slot machine for SALE – "Winter Sports"
Online slot machine for SALE – "Australia"
Online slot machine for SALE – "Whisker Jones"
Online slot machine for SALE – "Greek Legends"